We launched Google Apps for Education because we believed it would help students learn more collaboratively and help educators spend less time on administration and more time on teaching. It’s been thrilling to see how some schools take “going Google” to the next level and into their own hands—coming up with even more creative ways of incorporating technology in education. Recently we came across one of these schools: Colégio Mater Dei in Brazil. In 2013, Mater Dei deployed Google Apps for Education as part of a move to incorporate technology into the academic environment. 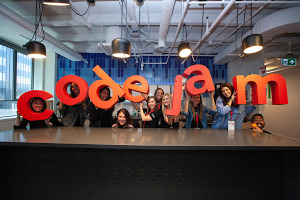 After they started to see early results, they came to Google with a plan: create a space on campus that’s designed from the ground up to be a technology-powered learning center for K-12 students. 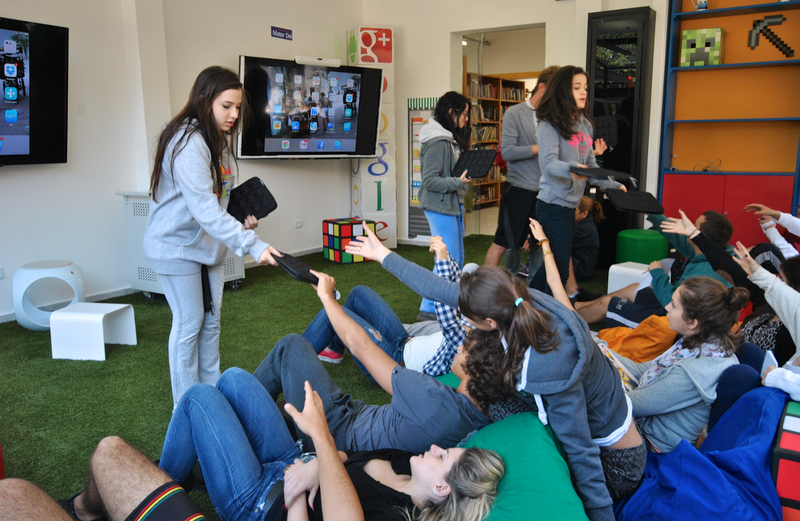 Last week, that idea became a reality when Mater Dei launched what we’re now calling the Google Learning Space. Transforming a part of their campus that used to be a traditional library, the school set up a high-performance wireless network in a room full of bright, colorful cushions and chairs where students can brainstorm, meet to discuss projects and talk with their teachers. There are two smart TVs with Chromecast installed, so students can project assignments, presentations and videos easily. 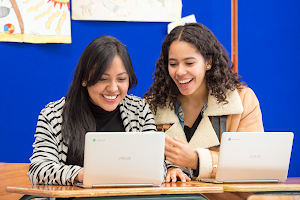 There's a library of tablets and Chromebooks that students can use, all featuring Google Play and Google Apps. The school’s ultimate goal is to increase collaboration amongst students and encourage them to think more creatively instead of learning by rote memorization. And so far, the results seem to be good—the school is already experimenting with new ways to teach and learn. For example, kindergarten teachers are helping students “visit” countries around the world with Google Earth and the Cultural Institute. Electronics teacher Andre Godoy is using Google Sites and Google Glass to help his students build a formula that can move a robot with a swipe of the finger. And biology teachers have started using the Google Play app Biodigital Human to help bring anatomy to life in 3D; students can add, remove and manipulate each organ of the body using the app, gaining an understanding of various diseases and how treatments are developed. Best of all, students and teachers seem more energized and excited to participate in class. 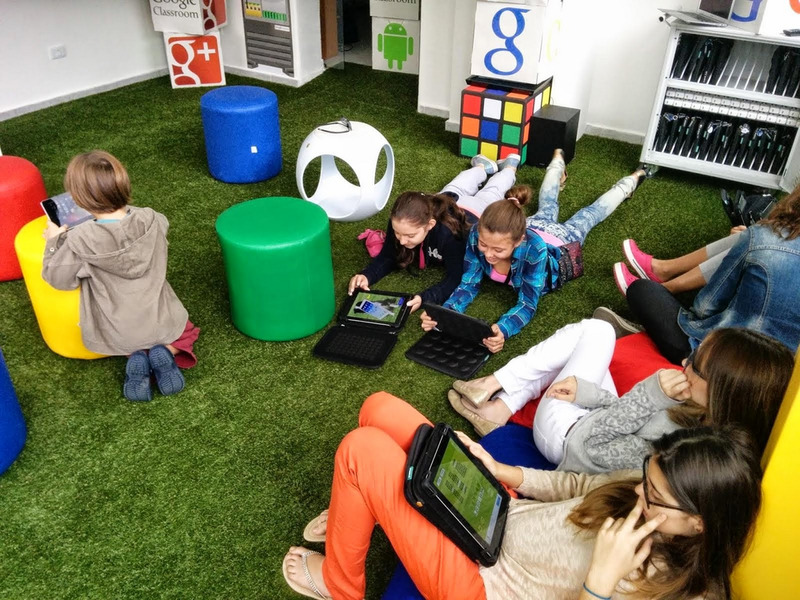 The Google Learning Space is just one example of how bringing technology into the classroom can have a real and immediate impact on both teachers and students. We’re excited to keep working on products that can help kids learn—in Brazil and around the world.